Many people are using a side hustle to get what they want. Whether it’s more money, trying to become a full-time freelancer or just doing something you love, side hustling can certainly be a good thing. This is why there are tons articles on what types of side hustles to start, on how much you can make, and how to turn it into a full-time business. But, what happens when a side hustle becomes too much? Is it okay to stop side hustling? Can you really just be a person with only one paying job? The answer is yes. Here are some reasons why a side hustle may not be worth the hassle. Depending on the type of hustle, you might not get paid enough to keep doing it. For example, if you love crafts, so you decide to knit sweaters and sell them. 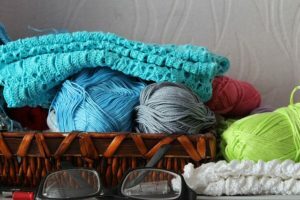 By the time you add cost for yarn, and how much your time is worth, your sweater price jumps up. A lot! Because you know it won’t sell at this price, you lower to what it will sell for. This puts your per hour costs in the single dollar range. At this point, it isn’t worth your time to try and turn this into a business. When you are stressed from a busy day at work, or with your kids, coming home to take on another exhausting project is not always worth it. If you are getting sick from the stress of your side hustle, it’s probably not worth the money it’s bringing in. Sometimes you have to say no and do what makes you stress free and healthy. All work and no play makes for a not so fun personal life. Side hustles are generally supposed to help you get ahead financially, or find a fun, new thing to do. They aren’t there to pull you further away from your family. Family is important and you really don’t have that much time with them. If you notice your side hustle is keeping you away from important family time, either take a break or consider if you really need this hustle. A side hustle is just that, a hustle on the side. It’s secondary to your day job. If your day job performance starts to slip, it won’t be good for you. You may even risk losing your main job! You might have to decide whether you stay at your day job or go full-time with your used-to-be side hustle. In the end, it all comes down to this. If you are putting in more than what you are getting out of it, your side hustle may not worth the hassle. Your time is valuable. That’s why you get paid to do a job. But if your side hustle isn’t worth it, you shouldn’t continue. It’s ok to give yourself a break, you deserve one. When did you decide your side hustle wasn’t worth the hassle? Did you stop? These are very good points. Make sure it is “worth it” (from multiple perspectives) to continue it. That said, sometimes side hustles take a LOT more time and effort than people expect when they are just getting started. It takes time – sometimes years – before the ROI starts to show up.